Access inventory from worldwide known publishers and specific themed websites. Thanks to our powerful network, we broadcast your campaigns on precise site lists with top premium publishers, ensuring your company’s brand safety and reaching users on trustworthy websites. 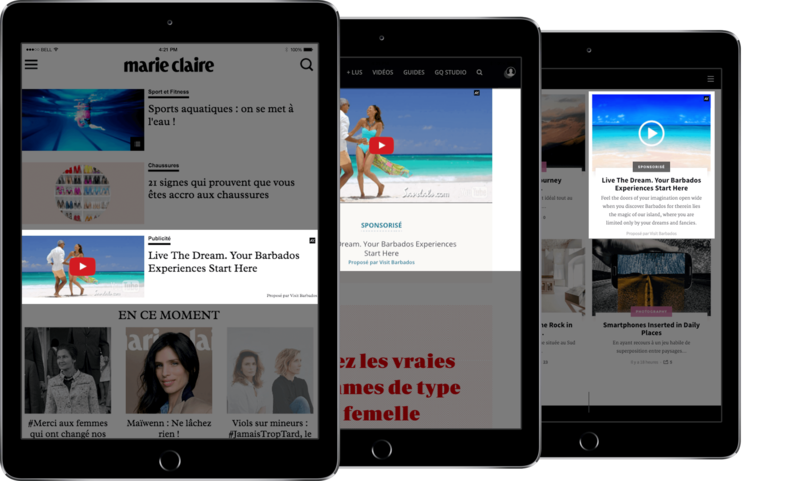 Benefit from our team’s expertise to build your native ad campaigns from the contents to the distribution. 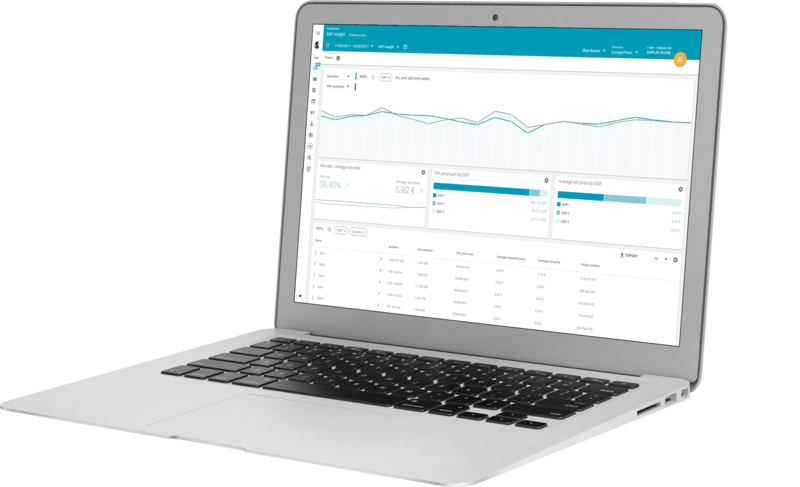 Through direct relation, programmatic or SaaS platform, we will do our best to reach your objectives and give you the best native experience possible. 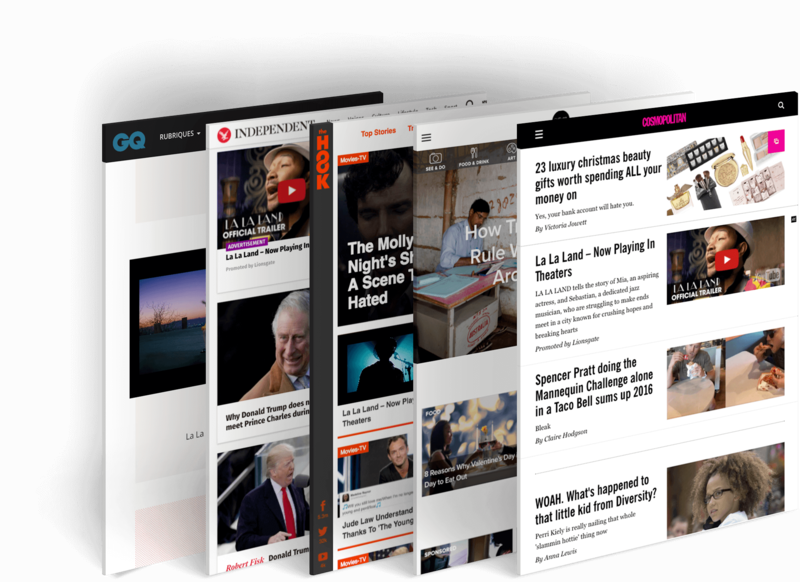 Reach the right audience with precise criteria such as IAB categories, devices, data profiles and more. 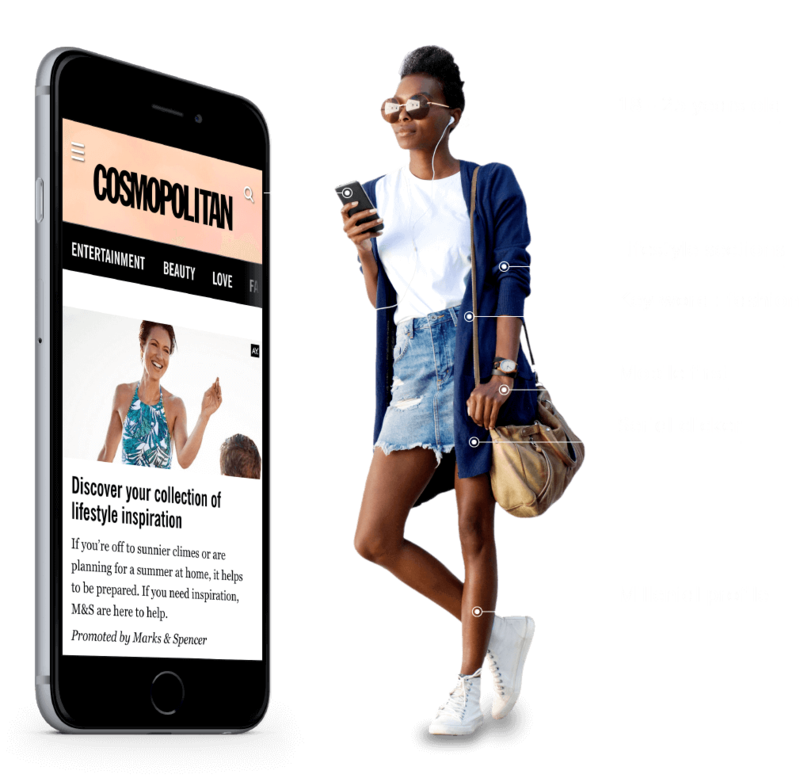 Sharpen your targeting thanks to our Artificial Intelligence solution : the scanning of our available inventory pages allows you to define a semantic context for your campaigns, using recognition of key-words and feelings in editorial contents. Our auto-templating technologies fit your campaigns into seamlessly integrated placements, matching the look and feel of any website and device. Our interactive Creative 2.0 formats will enhance your campaigns’ visibility, respect your users’ online experience with clear labelling and zero intrusion, and engage them through clever design and call-to-action. 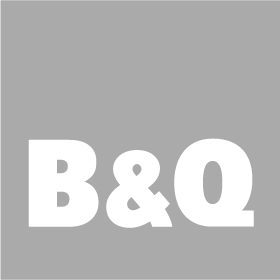 "The campaign increased social engagement rates, social shares & direct traffic sales to B&Q website." "ADYOULIKE created fantastic content and delivered the most relevant audience." "ADYOULIKE offered PayPal a unique opportunity to engage with their primary audience in the May/June activity. The campaign provided an outstanding introduction to native advertising, and delivered enviable results throughout." Set up your Black Friday Native Campaign Today!